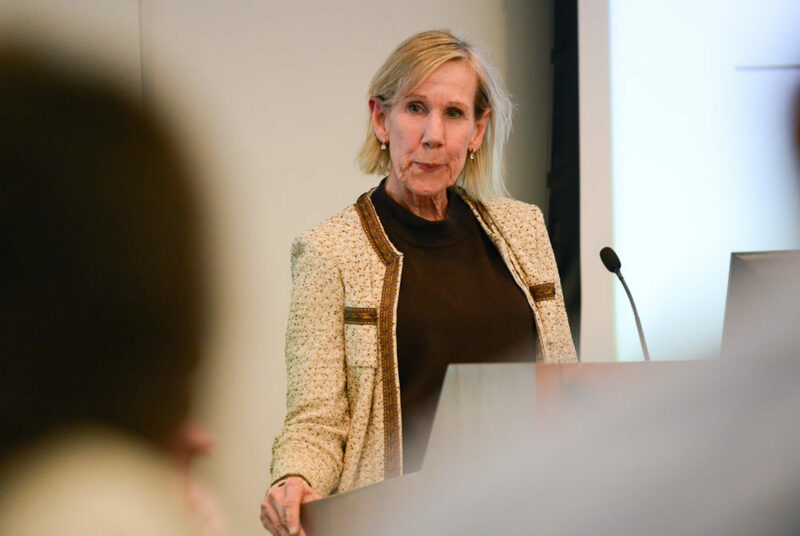 Geneva Henry, the dean of libraries and academic innovation, said at a Faculty Senate meeting this month that the library cancelled some of its journal subscriptions this academic year, drawing backlash from some professors. The surging cost of scholarly journals is forcing officials to cut subscriptions, threatening how faculty conduct research and teach their courses, faculty said. Geneva Henry, the dean of libraries and academic innovation, said at a Faculty Senate meeting this month that the library cancelled some of its journal subscriptions this academic year, drawing backlash from some professors. Faculty said they are concerned about the cancellations because many professors base classroom discussions and assignments around articles from journals the library provides. The library collections have functioned on a flat budget since 2004, and despite one-year-only increases in the budget, publishers are continuing to hike the subscription prices to rates the library department sometimes cannot afford, Henry said. Henry declined to specify which journal subscriptions were cancelled this academic year or how many were cancelled. She said the average 10 year inflation rate for scholarly journals has been 138 percent, and costs have been rising an average of about 7 percent each year. Henry said officials examine how often certain publications are used and how similar they are to other publications when determining which subscriptions to cut. “When cancellations are necessary, we take a comprehensive look at many factors, including total usage, cost-per-use, overlap with other resources to which we subscribe and equity of resources among disciplines,” she said in an email. Journal inflation is not a new problem for GW libraries. In the 2015 fiscal year, a package of Nature Physical Science journals increased by 85 percent. To cut costs, the library pays for some journal bundles resulting in a lower price than paying title-by-title, according to the library’s website. The average price of technology journals has increased by more than 478 percent over the past 10 years, according to the website. Henry said the library encourages faculty to look into open-access publishing in free access journals, making their work publicly available for researchers. By canceling some subscriptions, Henry said the library has been able to acquire more resources through JSTOR, an online journal library. She said the library also plans to purchase SAGE Research Methods, which continues manuals and datasets for learning research methods. “This year, in part thanks to savings from cancellation, and in part thanks to new models of demand-driven acquisition for print and e-books, we’ve been able to acquire several new resources that support important areas of research and teaching at the University,” Henry said. Katrin Schultheiss, the chair of the history department, said access to scholarly journals is a key component in the scholarship of both faculty and students. Schultheiss said the reduced access to journals also affects student research. She said the quality of her students’ senior theses in her European History course depend on student’s ability to use a wide array of academic literature through journals. “If they didn’t have that there, they would be reduced to whatever they can get off the bookshelf, and that would be very limited and often it’s very outdated,” she said. At the Faculty Senate meeting, Henry said scientific journals are typically the most expensive out of all subjects. He said the physics department ended the Elsevier package subscription in 2006, and opted for a pay-per-view method of obtaining journals. He said the department downloads anywhere between 40 and 100 articles per semester, and with journal articles costing about $40 per download, the library has saved money as opposed to paying for the package subscription. Griesshammer said the University has to “fight the price gouging” by major publications, and the library should consider a pay-per-view method as a possible solution.